Staff were really helpful and accommodating. It's was a great central location. They booked us in late plus we had a late checkout. They went more than 💯 % to accommodate us. 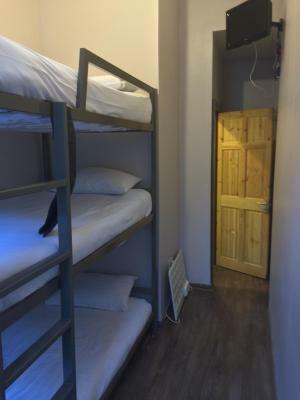 Perfect for backpackers and day trippers. The staff were very friendly, and the location was absolutely perfect! Everything is in walking distance. The location and staff are what really makes this place worth it. This was our second time here (we also came last year) and we were surprised to see that the staff remembered us! They're also generally kind and acommodating, and even let us leave our luggage in the room for an extra day since it would be vacant anyway. 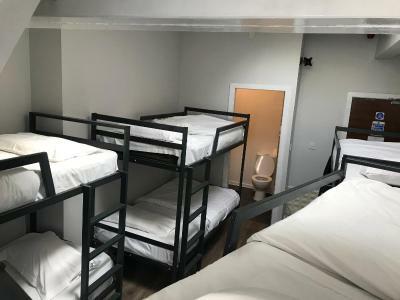 Long story short, the staff and location make this place ideal if all you need is a place to sleep and hold your stuff for a few days while being close to pretty much everything. Dead center of town no need for taxis due to location. Great for stumbling back after a few trebles in Sinners with a chicken bake and a kebab. Beds were comfy. If you are fussy about accommodation you'll hate it bit if not you'll love it!!! 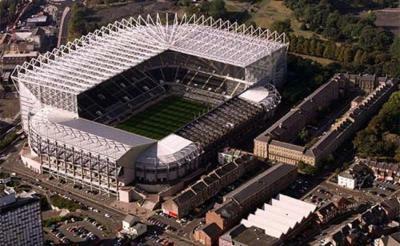 Basic rooms, handy for a night out round Newcastle. A great location but to much noise on the street (Saturday night ). 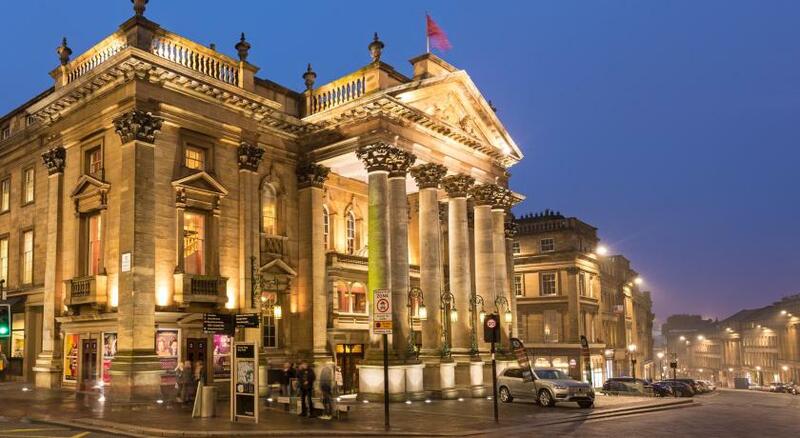 Right in the centre of Newcastle and its famously vibrant nightlife, Heroes boasts an excellent location right in the centre of Newcastle’s major club and bar area. 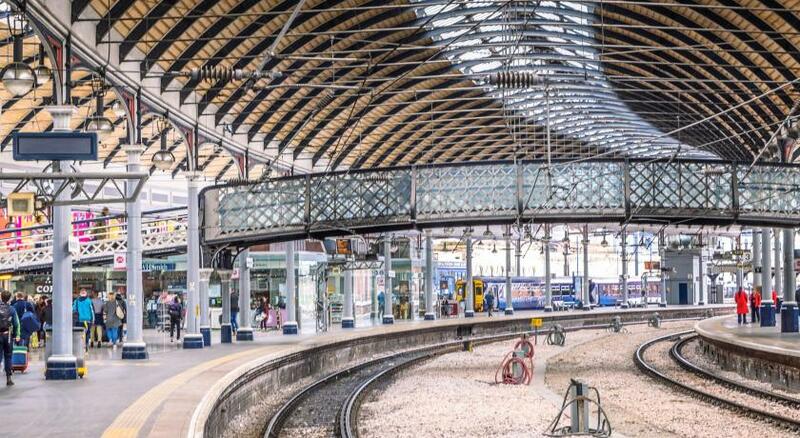 Newcastle Rail Station is only a 5-minute walk away. 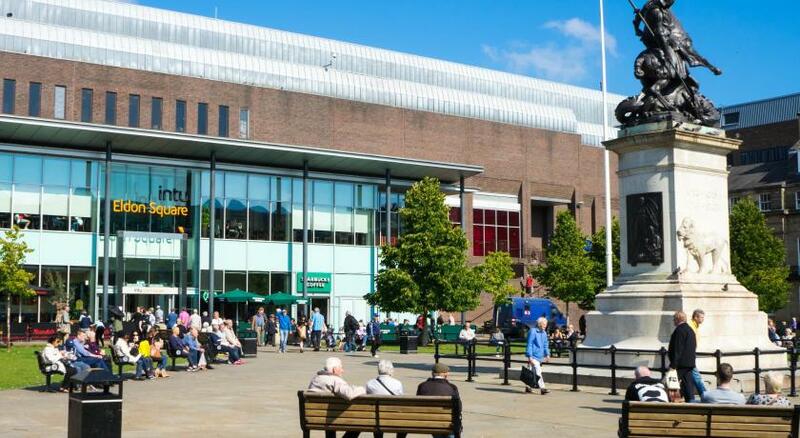 Eldon Square Shopping Centre and The Gate entertainment complex, with its bars and cinema, are both 5 minutes’ walk away. 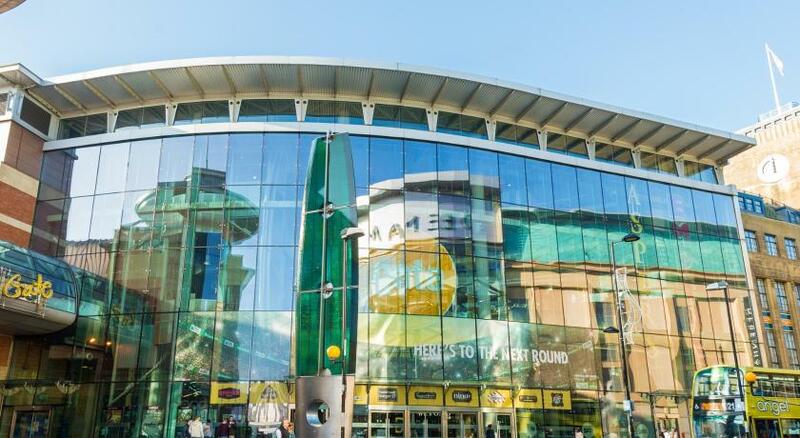 The O2 Academy is less than a 5-minute walk away, and The Metro Arena is 15 minutes away on foot. The private rooms all include bed linen and private shower rooms. Guests can also make use of free Wi-Fi at Heroes Hotel. Heroes Hotel has been welcoming Booking.com guests since 29 Jul 2011. When would you like to stay at Heroes Hotel? 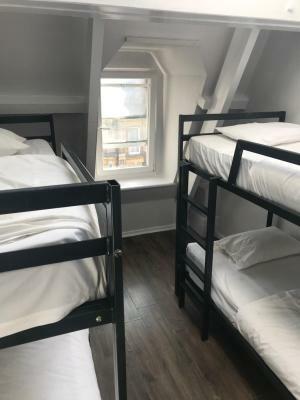 The Triple Room consists of a triple-level bunk bed. 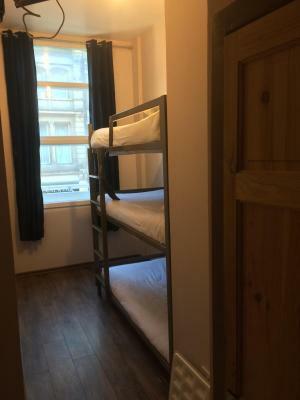 With 2 sets of single bunk beds, to accommodate 4 guests. Family room with 1 triple-level and 1 double-level bunk bed. 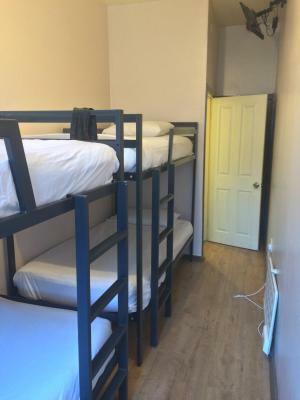 This dorm room has 2 sets of triple-level bunk beds. 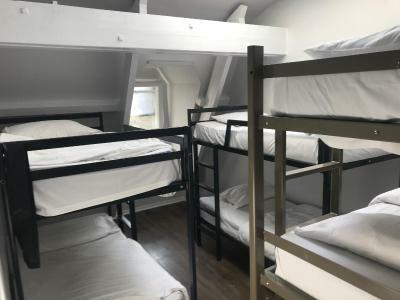 Dormitory room with 4 sets of bunk beds, to accommodate 8 guests. 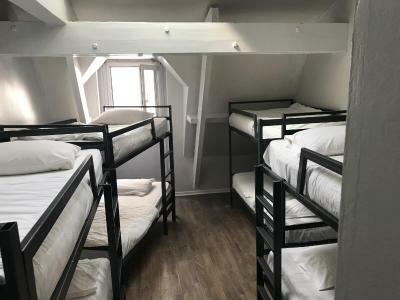 This dorm room consists of a triple-level bunk and two double-level bunk beds. House rules Heroes Hotel takes special requests - add in the next step! Heroes Hotel accepts these cards and reserves the right to temporarily hold an amount prior to arrival. 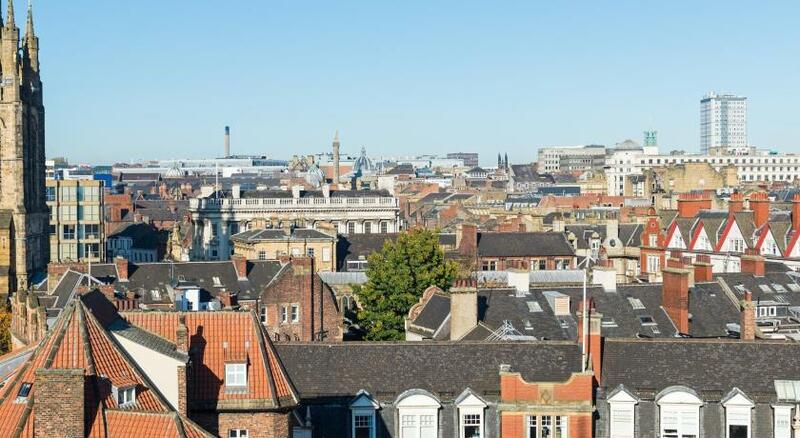 Guests should be aware that there may be noise in the property on weekends due to stag and hen parties and the property's city centre location. Please note that towels are not available at this hotel. No idea where reception was. Whole room was damaged. Punches in the wall. Tv bracket hanging off wall. Dirty sheets. Blood on bed frame. Half a roll of toilet roll supplied that’s all. 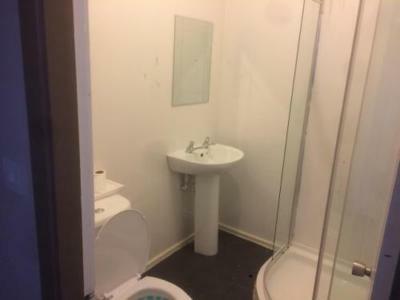 No shower door. where do I start when I arrived it was a confusing experience as the door to the hotel/hostel was at the side of a shop the room I was in was dirty and dusty at first glance I went into the bathroom there was a tile on the floor that was cracked and dangerous and I could see mould in the shower and behind the sink and the radiator was leaning against the wall unsecured and was a potential fire hazard. No towels, shampoo or soap was provided. The shower door was not correctly on the rollers and thus the door didn't close correctly thus water got onto the tiles and it became even more dangerous. The room was at the top of the building, but we arrived late, so you could expect that. This facility is classed as a Hotel, which ain't true. Some basic towels and complementary shampoo / shower gel would have been a nice bonus, it is something that you would expect at this price range. The bathroom door didn’t lock, there was no door on the shower. There was no sign on the outside. Very hard to find! . Was hard to find parking, very small space to cram bodies into. 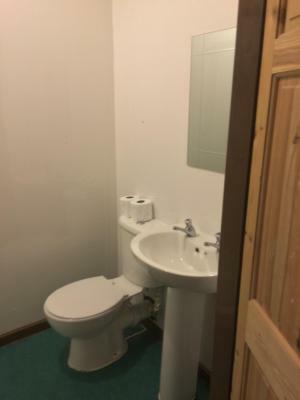 Rooms are very small and dated, there’s a lack of plug sockets. 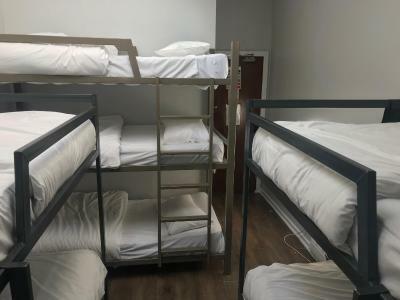 The room was very small for 4 of us, nowhere to sit or hang any clothes (NB take your own hangers and you can use the beds). The shower cubical was broken and again nowhere to keep clothes off the floor which became quite wet. The shower itself was good and was hot. The picture shown on the Website does not belong to the establishment. The entrance is a single grey door with a coded locking system, which you obtain from the Store next door. As soon as you open the door you are met by a damp musty smell. 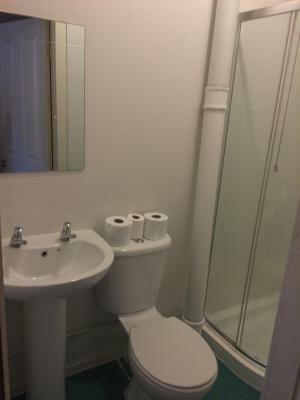 The standard of decoration is very poor, the paintwork looks like it has been applied using a mop. The bannister rail from the ground floor to the Ist floor is loose and came away from the wall. On opening my room door I immediately noticed that the floors were covered in dust and the windows have not be cleaned in several weeks. Again the standard of decoration is very poor. The simulated wood flooring in the room are cracked and some parts have pieces missing, Likewise the flooring in the bathroom is cracked. 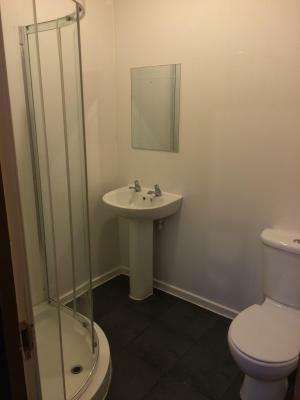 The sink had a large chip in it and the back of the door had been badly damaged and poorly repaired. The mattress and pillows offered very little support and it was uncomfortable. There were no towels supplied, I had to purchase my own. All in all, this is the worst hotel I have stayed in, in fact to call it an hotel is incorrect, it is a hostel. The environmental health people would have a field day if they inspected this place, I am sure they would close it down. I cannot recommend this place to any of my friends or family.